A holder for storing bumper plates. This stable construction on a hexagonal base will allow you to order the weights in your box. A holder for storing bumper plates. This stable construction on a hexagonal base will allow you to order the weights in your box. The proven solution allows you to use your space in a more effective way and easily identify the places for storing individual weight categories of your bumpers. 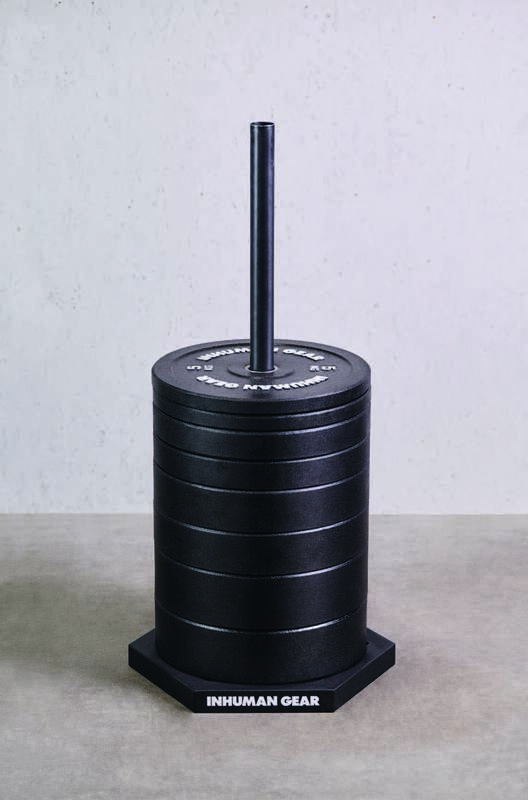 Our Med Ball Holder characterised by its unique design will help you keep your box tidy. A classic A-Frame type holder is a necessary part of equipment in every free weight zone. A wall-mounted hanger, allowing for storage of up to 8 barbells.